Bath Corner Shelfs hold lots of stuff and keeps it dry. 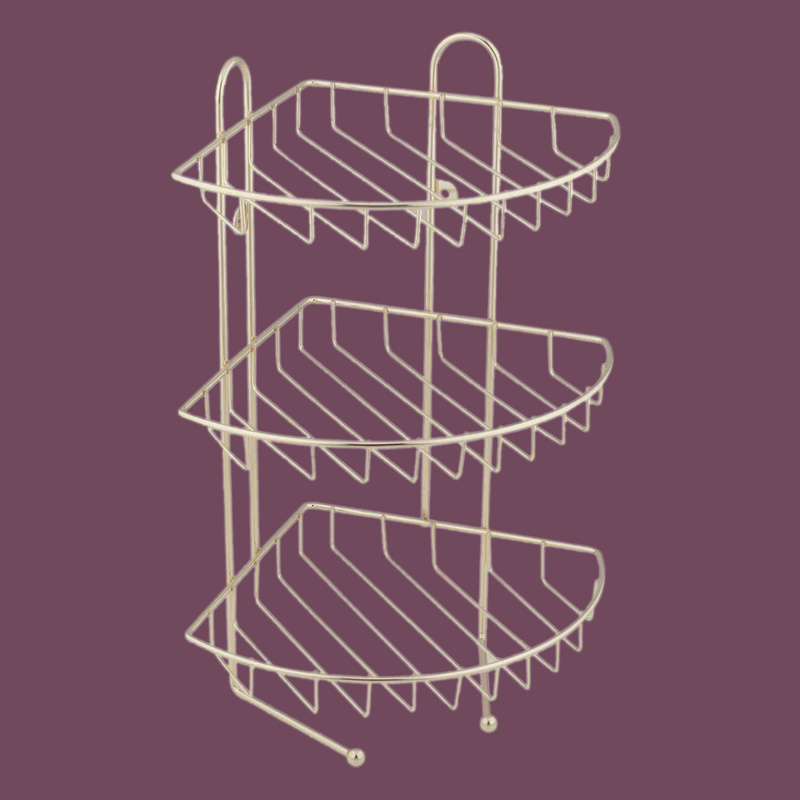 Shop for your Bath Corner Shelfs here today. Has a beautiful polished & lacquered brass finish? 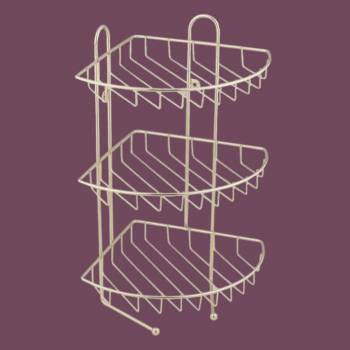 Includes three shelves to hold your toiletries? Has two hooks to keep washcloths close at hand? Conveniently mounts in the corner of your shower? 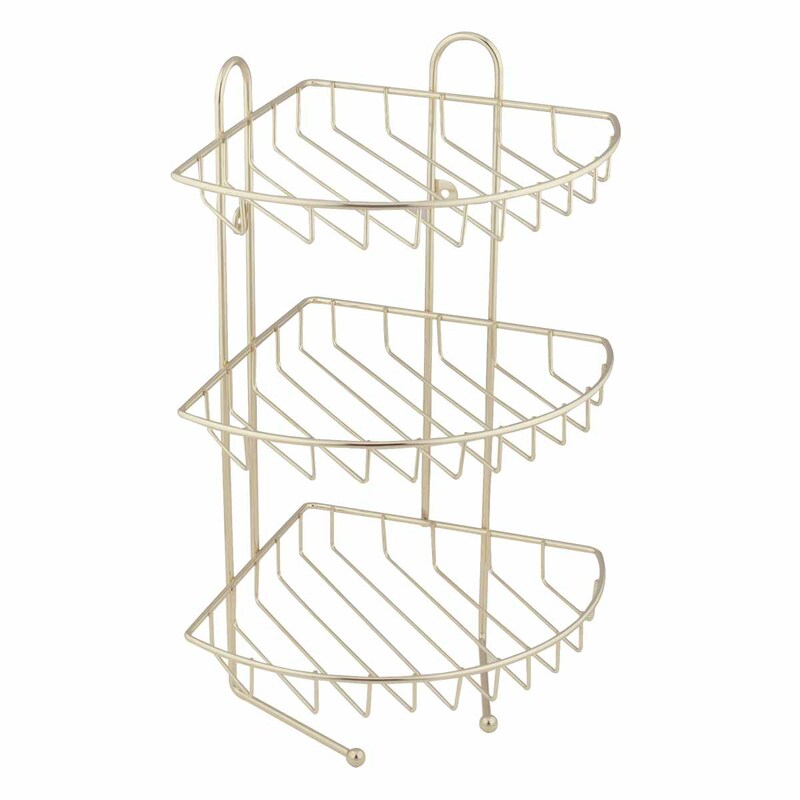 Brass Corner Rack. 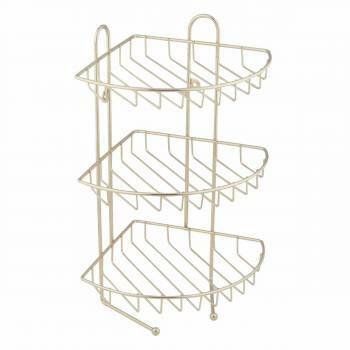 Brass finish with three tiers and two hooks for hand towels or wash cloths. 8 1/2 in. wide x 17 1/2 in. high. Projects 10 1/2 in.